Rasmussen, Mark. "Fort Saskatchewan". The Canadian Encyclopedia, 11 May 2016, Historica Canada. https://www.thecanadianencyclopedia.ca/en/article/fort-saskatchewan. Accessed 19 April 2019. 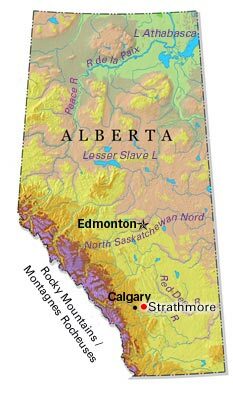 Fort Saskatchewan, Alta, incorporated as a city in 1985, population 19 051 (2011c), 14 957 (2006c). The City of Fort Saskatchewan is located adjacent to northeast EDMONTON on the prairie parklands along to the North SASKATCHEWAN RIVER. Fort Saskatchewan, Alta, incorporated as a city in 1985, population 19 051 (2011c), 14 957 (2006c). The City of Fort Saskatchewan is located adjacent to northeast EDMONTON on the prairie parklands along to the North SASKATCHEWAN RIVER. While the fur trade flowed through the region as early as the 1790s, and pioneering French Canadians began farming in the area in 1872, the community really started with the establishment of a NORTH-WEST MOUNTED POLICE post in 1875. Inspector William D. Jarvis, who lead the secondary group to FORT EDMONTON during the force's "March West" (see RED COAT TRAIL), was said to have chosen the spot over competing Fort Edmonton because of its gentler banks for a future railway crossing and avoidance of Hudson's Bay Co lands. Although the fort was originally known as Sturgeon Creek Post, it was later renamed Fort Saskatchewan. During the 1880s, extensive surveying took place for both the expanding urban settlement and surrounding river-lot farmlands. 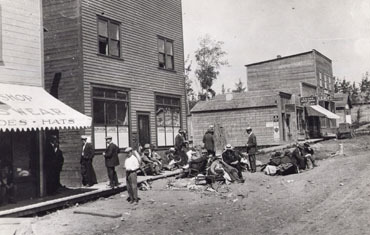 A year after Fort Saskatchewan was incorporated as a town (1904), the Canadian National Railway line reached the town and built the bridge Jarvis had envisaged years earlier. The town remained a small rural farming centre until after World War II. In 1954 Sherritt Gordon Mines Ltd (now Sherritt International Corp) completed the community's first major industry, a multimillion-dollar nickel refinery. Over the succeeding years, Fort Saskatchewan experienced steady growth with PETROCHEMICAL INDUSTRIES moving into the area. In 1966 Sherritt began producing coins and medallions , which later included the blank for the Canadian $1 coin (the "loonie"). The company has since sold its interest in this coinage operation. There are now more than 20 complexes located in and around the city, including Dow Chemical Canada Company, Praxair and Agrium. Today, these industries, a provincial jail - here since 1914 - and a thriving service component support one of Alberta's oldest settlements. P.T. Ream, The Fort on the Saskatchewan (1974). Fort SaskatchewanOfficial website for the City of Fort Saskatchewan.